Enhance The Beauty Of Your Home With The Timeless Look Of Genuine Stone. These Stunningly Spectacular Fixtures Feature Stone With Signature Random Veining And Casts A Warm And Natural Hue Of Light. 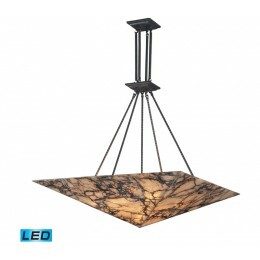 Each Fixture Is Supported By A Solid Antique Brass Frame That Will Stand The Test Of Time. - LED'S Offering Up To 7,200 Lumens (540 Watt Equivalent) With Full Range Dimming. Includes Easily Replaceable LED Bulbs (120V). 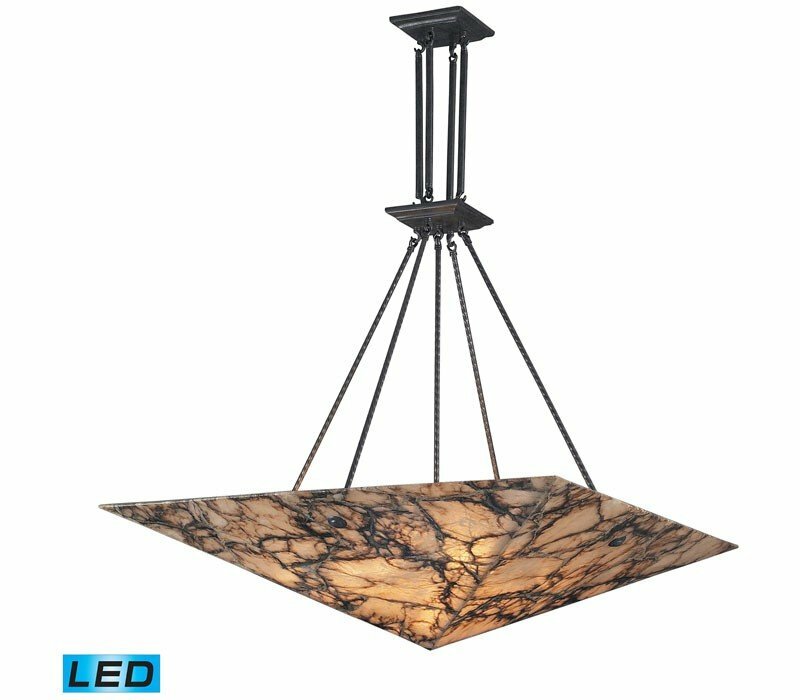 The ELK 9010/9-LED Imperial Granite collection Pendant Lighting in Antique Brass uses LED light output and brings Contemporary style. The total wattage is 121.5 and the voltage is 120 volts. The ELK Lighting 9010/9-LED requires 9 bulbs (included). Additional Information: Shade-Granite Stone Shade.